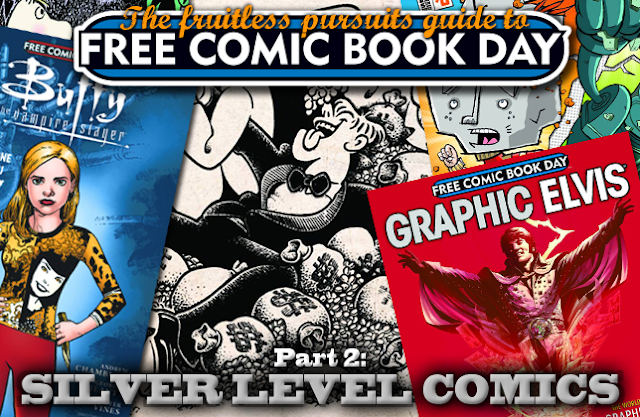 In Part 2 of our look at this Saturday's 10th annual Free Comic Book Day, we look at the Silver Level books. 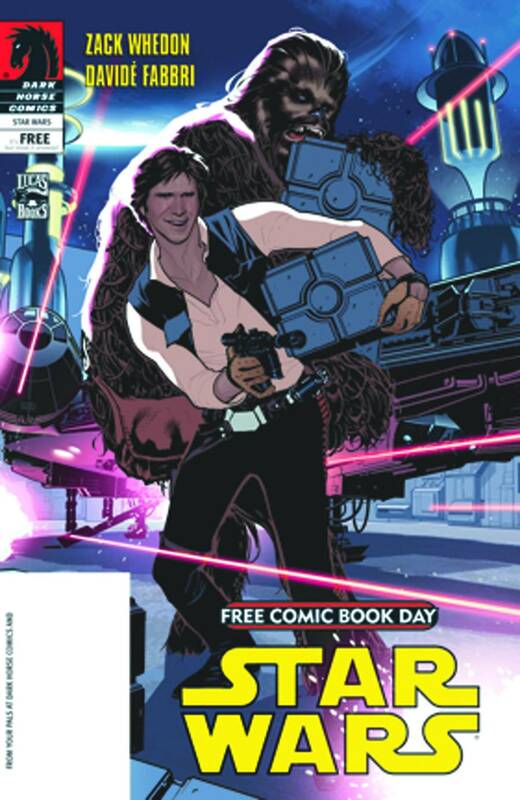 To help you get a head start on your favorite free comics, we've detailed the 36 additional books that will be available on Saturday. Click through the jump for lots of more info! 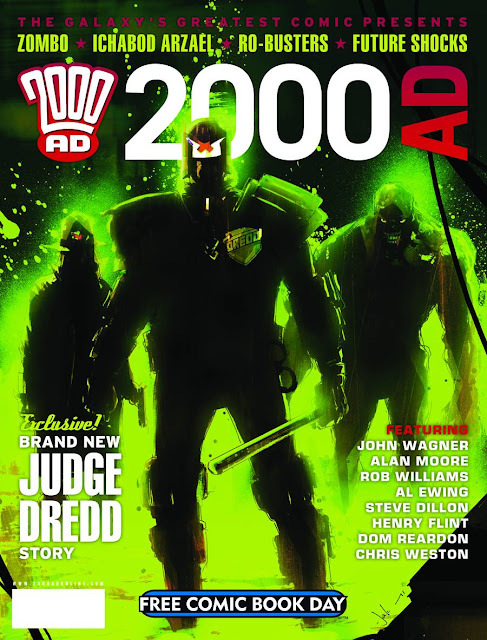 The UK's leading SF anthology comic, 2000AD, is back for its second year as a sponsor of FCBD, bringing you a fresh batch of Thrill-Powered strips from the biggest and best creators in the industry: Ichabod Azrael by Rob Williams & Dom Reardon; Zombo: The Day the Zombo Died by Al Ewing & Henry Flint; a classic Ro-Busters tale by Alan Moore and Steve Dillon, and a superhero-themed 'Future Shock' tale, Whatever Happened to the Green Pedestrian Palm? by Chris Weston! All this, plus an all-new Judge Dredd tale from John Wagner and a surprise guest artist! 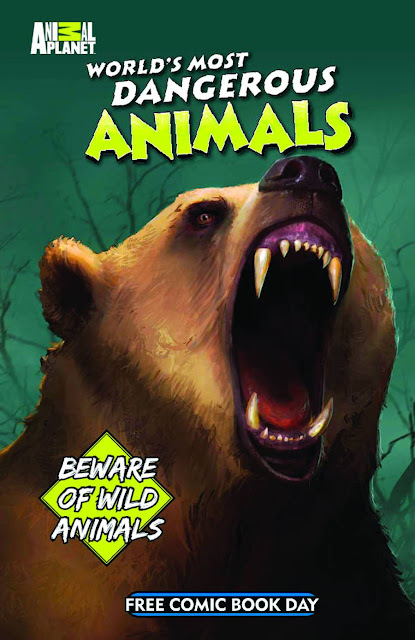 This Free Comic Book Day edition of Silver Dragon Books' first Animal Planet graphic novel gives a sneak peak at terrifying encounters between man and beast, illustrating what happens when humans interact with the World's Most Dangerous Animals! All 6th-grader Bill Stokes wants is to get through middle school unnoticed so he can go on to become a big-time pro video-gamer. Then his mom comes home from her medical research volunteer job with a zombie virus. Now Bill has to deal with skin problems and body chemistry changes that make puberty look like a walk in the park! How's he supposed to realize his dream when his life has become a festering, rotting, undead nightmare? 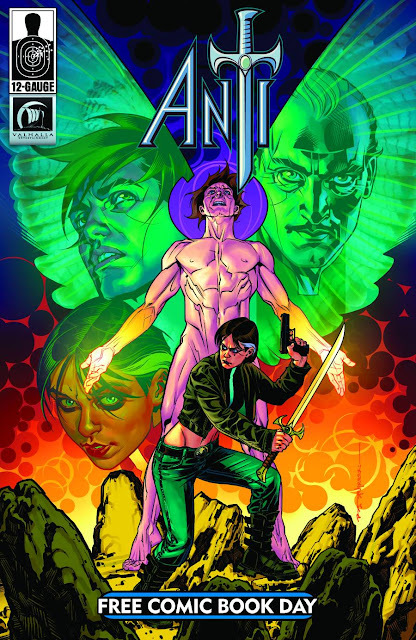 Legendary producer Gale Anne Hurd (Terminator, Aliens, The Walking Dead) teams with 12-Gauge Comics to present the tale of Zachary, a faithless man forced to confront the reality that he's the savior of the world. Chased by demons that have infiltrated earth disguised as humans, while grudgingly protected by demon-hunter Jordan, the journey for knowledge, survival and more begins here! Plus: The Ride returns from writer Nathan Edmondson, teasing the all-new series! 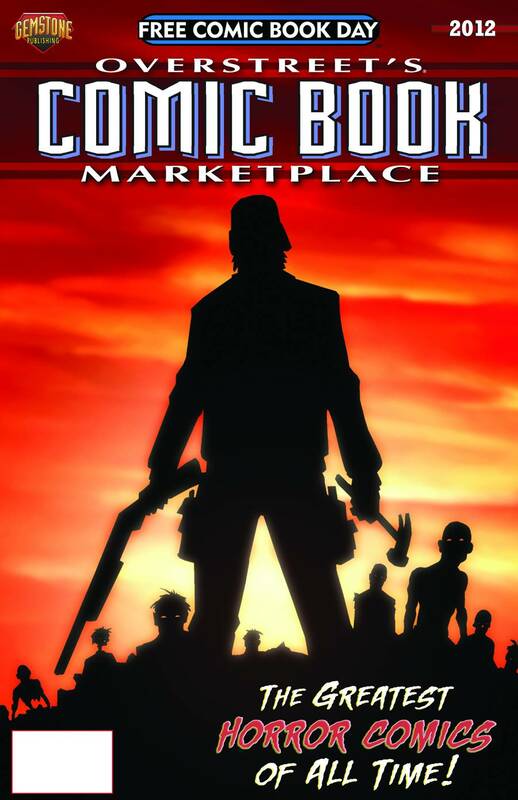 Horrors from different worlds have assembled to bring about a global threat known only as The End. A Philosopher has recognized the signs in time to gather his own forces for Good - including an ordinary, powerless young woman. Only together can they avert disaster on a biblical scale. Every last one of them... is Intrinsic. 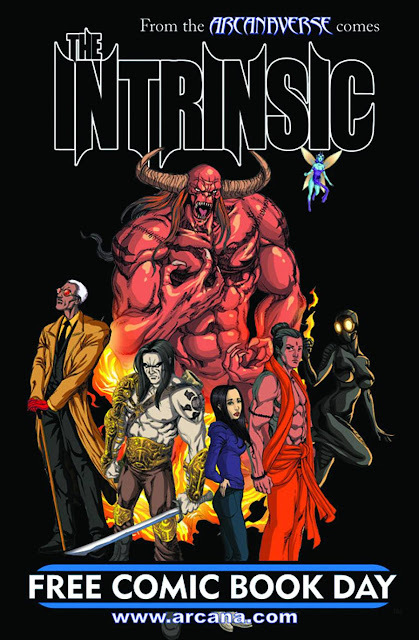 'Intrinsic' is a company crossover event bringing together characters from hundres of titles beneath Arcana's library. It is an event of unprecedented ambition, unlike anything that has been before. 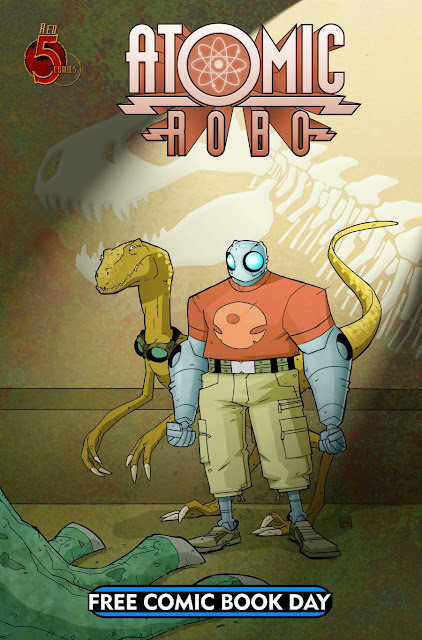 Unanimously heralded by fans, creators, retailers and critics as the perfect first comic to give to a non-comic-reader,Atomic Robo is back to delight all audiences with the ultimate equation. 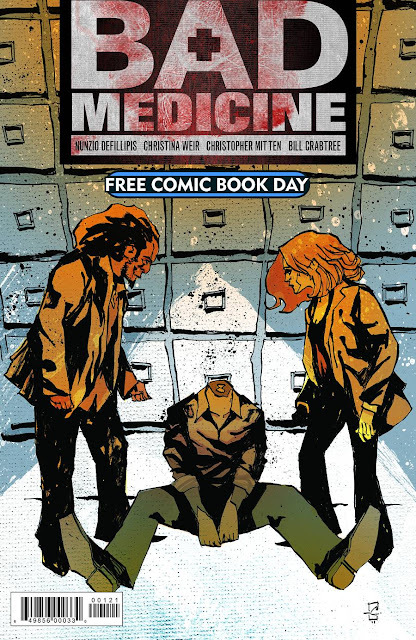 Pulled out of exile from a dark corner of the world, renowned-surgeon-turned-fringe-medicine-eccentric Dr. Randal Horne must return to New York City to investigate a tragic research lab accident that's left one man dead... and inexplicably headless. With the help of a distrusting NYPD detective, Horne must diagnose whether this strange case was truly a random act of misfortune, or the first calculated move by an invisible, psychotic murderer. Before Harold and the Purple Crayon there was Barnaby. Created by Crockett Johnson Barnaby ran in newspapers for over ten years (1942-52). 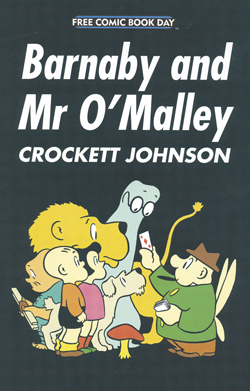 Its subtle ironies and playful allusions won many passionate readers as they followed the adventures of 5-year-old Barnaby Baxter and his cigar-chomping fairy godfather Jackeen J. O'Malley. Buffy has never needed a vacation so badly as she does now - with the world overrun with zompires and other fallout from Season 8. Luckily, Spike has got the perfect solution: a "spacecation"!Having lost their regular real-life meeting place, the Guildies are having a little trouble finding a new location they can all agree on. A little in-game battle becomes the deciding factor, and the circle follows the decree of the winner: the beach?! For the creators of the hit Misadventures of Adam West series, comes the out of this world spin-off featuring everyone's favorite Boy Wonder, Burt Ward. After playing Robin oin the Batman TV show, Burt still needs to be a hero and along with a couple of friends saves the world again and again! In conjunction with the Comic Book Legal Defense Fund, BOOM! 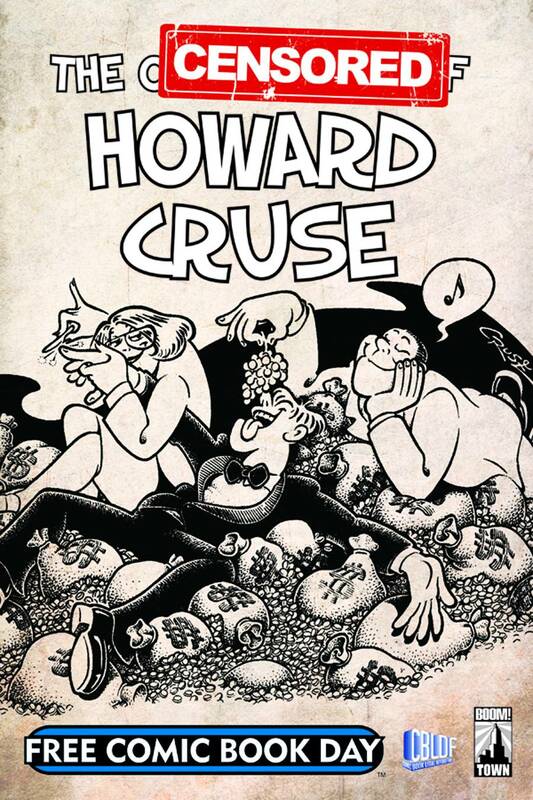 Town presents "The Censored Howard Cruse"! Get a special sneak-peek at this summer's upcoming "The Other Sides of Howard Cruse" graphic novel. He's known for his gay comix, but that's not all that's been on his mind! From his Underground days up through present day, Howard wrote on a slew of topics, including freedom of speech, civil rights, drugs, and interesting uses for toothpaste. Get a taste of his impressive catalog of works, just with a few tastefully-placed black boxes. 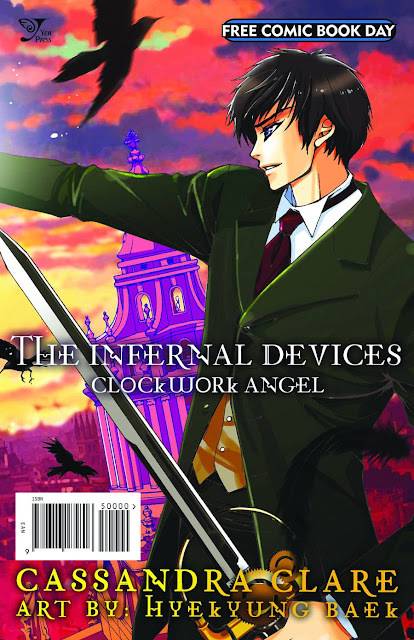 You'll have to get the OGN for the uncensored version! This super sampler is the place to check out Green Lantern Adventures and Young Justice, two sensational new comic series from the DC Kids line based on Warner Bros. Animation's popular Green Lantern: The Animated Series andYoung Justice, featured on the upcoming DC Nation programming block on Cartoon Network in 2012. The sampler includes two exciting, all-new stories that readers of all ages will enjoy. 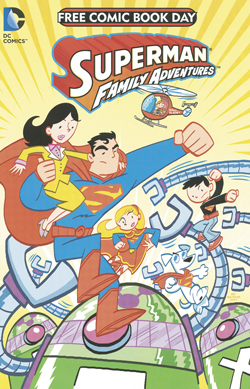 Plus, get a sneak-peek at the brand-newSuperman Family Adventures monthly series from the Tiny Titans creative team! From the minds of acclaimed filmmaker, Barry Sonnenfeld (Men In Black) and superstar graphic novel creator, Grant Morrison (Batman, The Invisibles), comes Dinosaurs Versus Aliens! 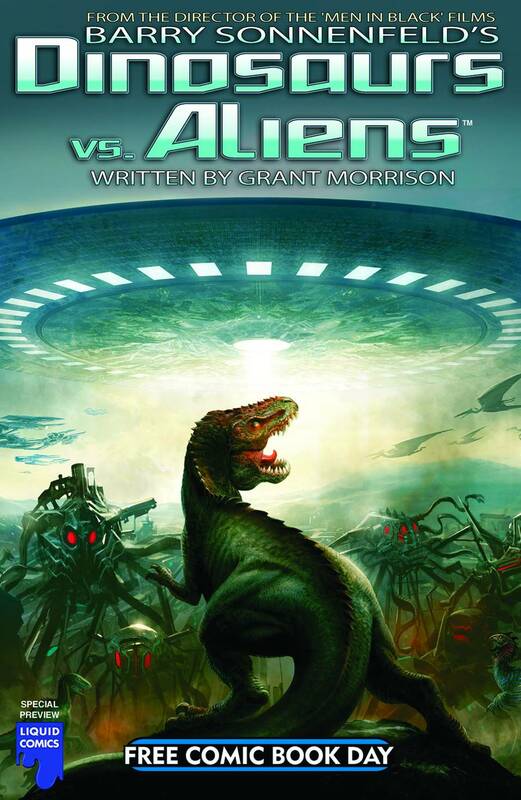 When an alien invasion attacks Earth in the age of the dinosaurs, our planet's only saviors are the savage prehistoric beasts... which are much more intelligent than we ever imagined! Featuring artwork from acclaimed artist, Mukesh Singh (Guy Ritchie's Gamekeeper). 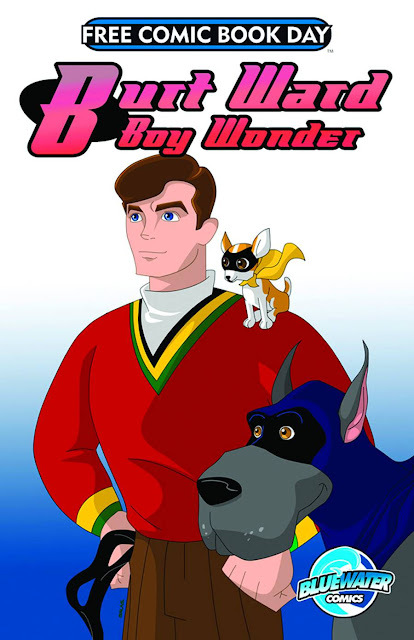 When a brilliant young boy named Denny solves the most perplexing puzzle in the history of mankind, he and his caretaker sister, Jenna, are transported to the fantastic land of Gossamyr, where math is magic and the boy's unique condition gives him incredible power. 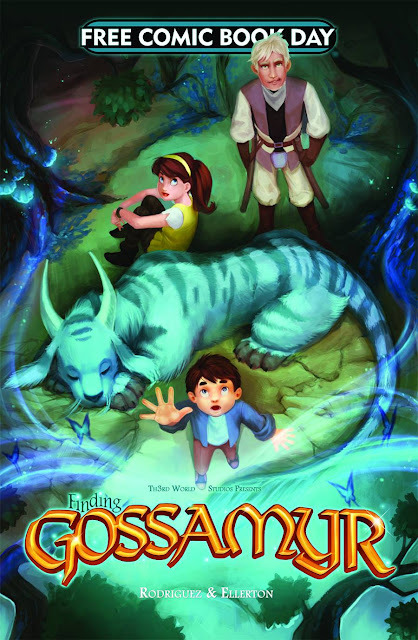 Finding Gossamyr is written by game designer/writer David A. Rodriguez and beautifully illustrated by talented newcomer Sarah Ellerton. Also in this issue: a special preview of The Stuff of Legend Volume 4! 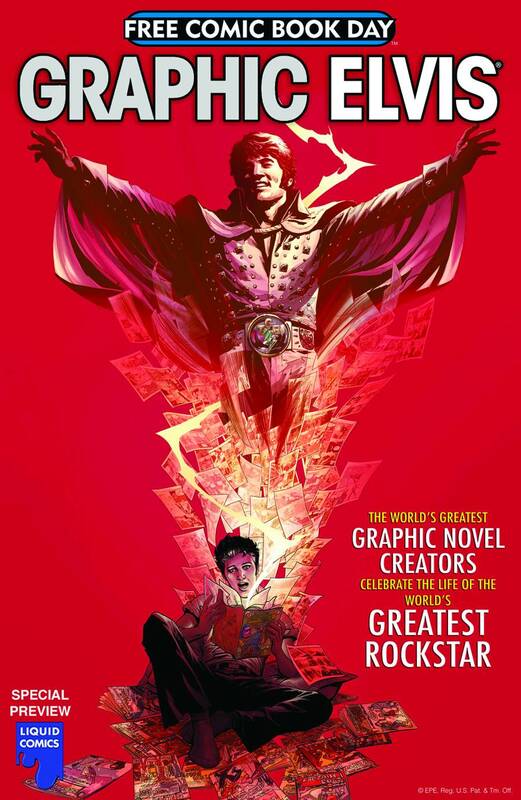 This FCBD Preview of the Graphic Elvis collector's book features selected stories and excerpts from the deluxe hardcover edition! An illustrated homage to Elvis' lifelong appreciation of comic books, Graphic Elvis also commemorates the 35th anniversary of Elvis Presley's death in 2012. In the same way comic books inspired Elvis, this book allowed today's premiere comic book creators to find inspiration from Elvis' treasured archives at Graceland, creating a unique visual experience for his millions of fans. 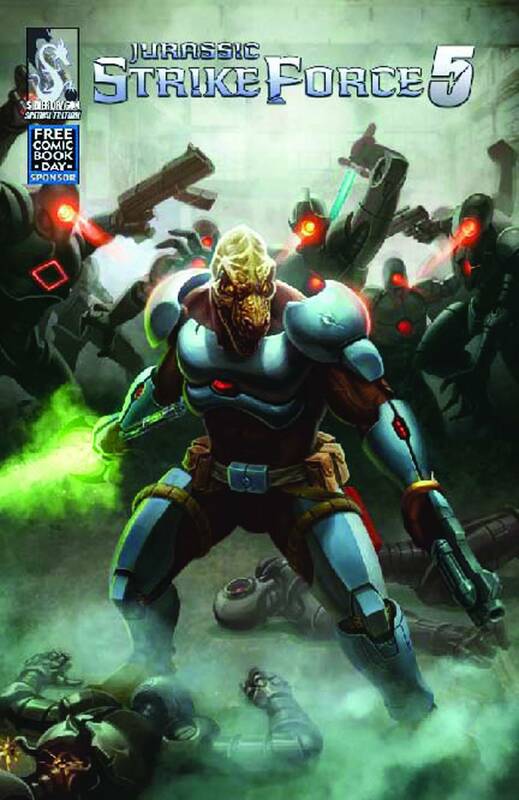 Kept on ice for millions of years, the Earth's first team of heroes is back to protect the planet from the threat of the evil alien overlord Zalex and his band of mutated DinoSoldiers! In this Free Comic Book Day edition Jurassic StrikeForce 5's leader, Rex, tests his skills in a training session that gets out of control and that threatens to make the hero extinct! Join us in welcoming Lady Death's 20th anniversary year with this special Free Comic Book Day edition! Her travels have taken her down many different roads but she has always remained a mysterious and powerful goddess. Now new readers can step into her story seamlessly with this 40 page introductory issue that launches the Avatar storyline of Lady Death's current ongoing tale. Collected here are the contents of Lady Death Premiere and issue #0, which makes up the first chapter in the Lady Death Vol 1 TP and introduces fans to a Lady Death who has to face her greatest challenge yet - regaining her powers taken by the mysterious villainess Death Queen! Drawn & Quarterly offers a second FCBD title for the first time this year and it will feature one of our most beloved and popular characters, MOOMIN! 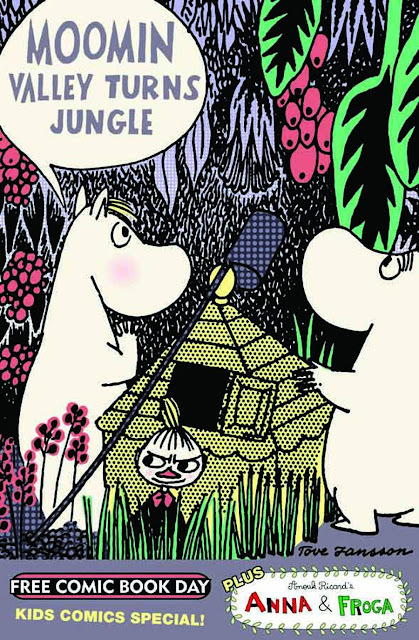 The Moomin Color Special will offer a sneak peak at the brand new Moomin books, in color for the first time, that D+Q will publish in Fall 2012. The Moomin characters were created by Tove Jansson and have developed a dedicated fan base of both children and adults for over six decades. 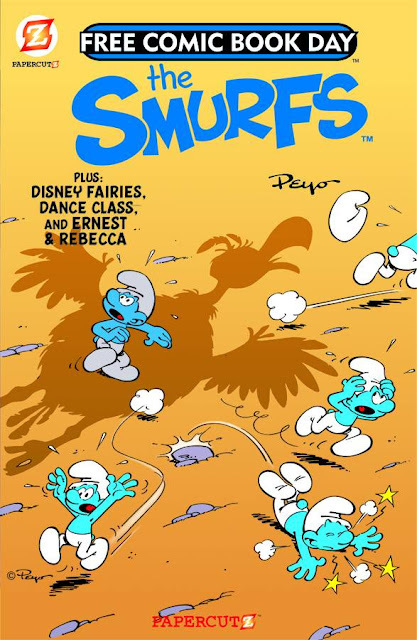 The comics presented here were originally published in b/w and have now been re-colored by Drawn & Quarterly, with careful consideration of Tove's palette. This will be the perfect All Ages comic book, ideal for developing a new readership of kids in the 6 to 12 age set. As a special bonus, this FCBD will also feature a 2nd preview of a new D+Q book, Anna & Froga, by Anouk Ricard. 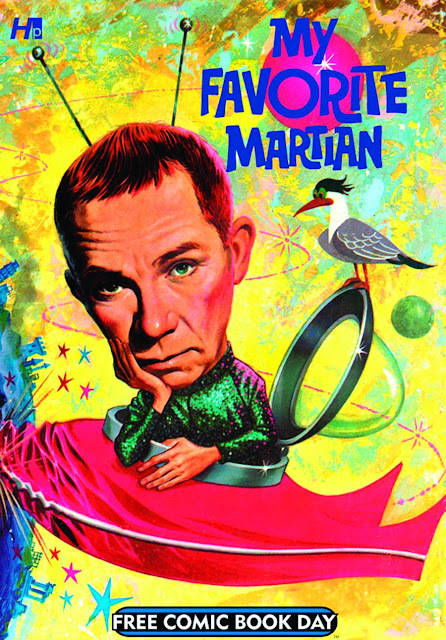 Uncle Martin (our favorite Martian) is a stow away on a rocket to Mars! Art by Silver Age great Dan Spiegle; supplementary artwork by Mike Arens; photographs from the original 1963-66 TV show. The Walking Dead. Tales From The Crypt. Tomb of Dracula. Swamp Thing. Horror stories have been giving comic book fans the creeps for decades, yet they often fail to get their due. What defines horror? What's new in the genre? Now the team behind The Overstreet Comic Book Price Guide takes an insightful look at the worlds of horror in this new special. Great articles, interviews, and market snapshots focus on what makes reading and collecting horror comics so cool. Cover by Zombie-Proof artist Vincent Spencer. Two awesome adventures for the price of...NONE! Yep, that's right, folks. Meet the world's newest superheroes in this limited-edition, super spectacular FREE-VIEW! First, who's mightier than marble? Who's greater than granite? Who's smarter than, uh, a rock...? 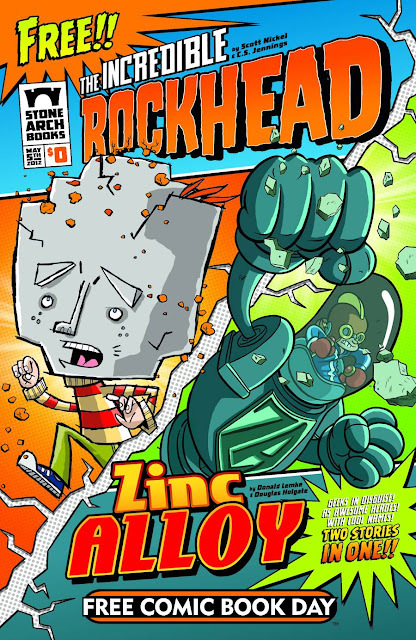 It's Chip Stone, aka The Incredible Rockhead, always ready to bash a few bullies!Then, hitch a ride with young Zack Allen as he takes his Zinc Alloy super-suit for a wild and wacky test-drive. A comic this jam-packed with heroics and hilarity is - well, priceless (i.e. totally free)! 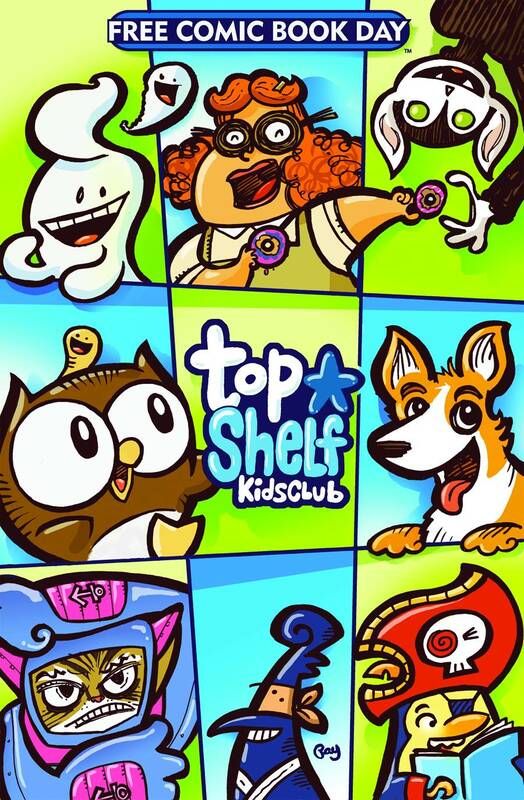 For years people have been asking for more comics for children, especially young girls. 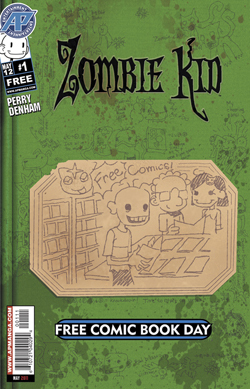 Well, Papercutz, for over seven years has been producing great graphic novels for all ages. This special flip-comic book highlights kid-friendly, world famous characters such as Tinker Bell and Smurfette, as well as new titles from Papercutz such as Dance Classfeaturing dance students and best friends, Julie, Lucy, and Alia, and Ernest & Rebecca, which features a six and a half year old Rebecca and her best friend, Ernest, who is a germ. 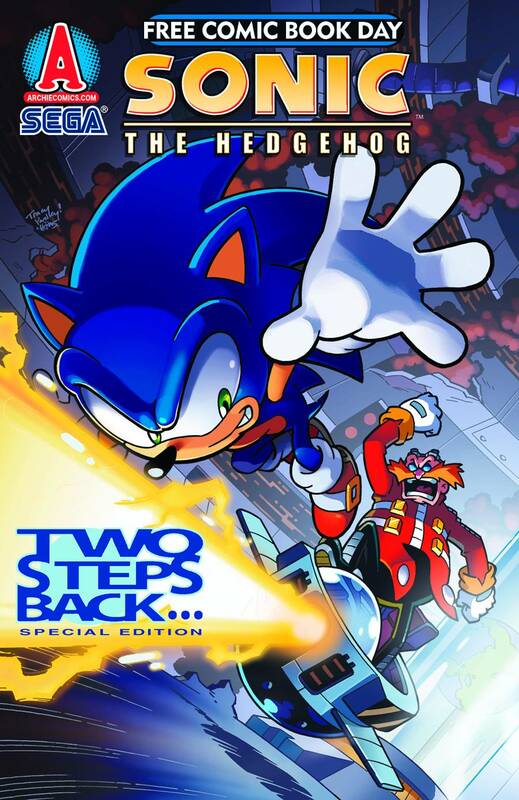 "...Two Steps Back: SPECIAL EDITION" Genesis may be over, but that doesn't mean Sonic has saved the day! The Death Egg II still menaces New Mobotropolis, and Dr. Eggman has one more sinister trick up his sleeve. It's a desperate race against time as Sonic and Sally try to prevent another world catastrophe, and the ending will leave you speechless. 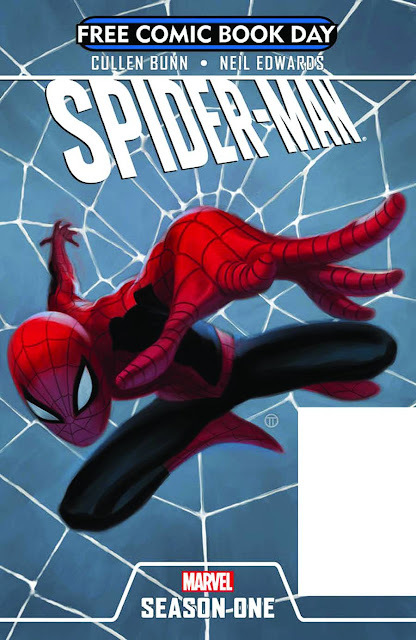 It's the Year of the Spider with Spidey's 50th anniversary, the debut of the blockbuster film Amazing Spider-Man, and the all new original Spider-Man Season One Graphic Novel! Do not miss out. Get the first chapter of the eagerly anticipated Spider-Man: Season One graphic novel from Cullen Bunn and Neil Edwards! 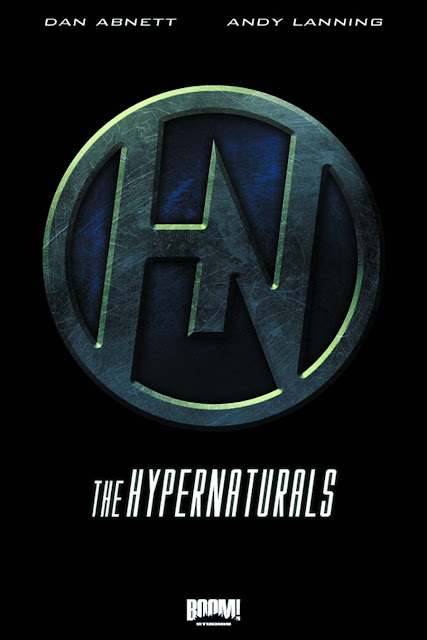 It is the far future; the human race has finally colonized the galaxy, preserving an era of prosperity that's only possible because of The Hypernaturals. They're a celebrated, galaxy-wide superhero task force that keeps the peace. That is, until they all mysteriously vanish. Now, as the galaxy teeters on the brink of chaos, it's up to a group of retired and long forgotten Hypernaturals - and their novice recruits - to save the galaxy from complete destruction.Dan Abnett and Andy Lanning, the superstar writing duo behind Annihilation and The Legion, launch an all-new original series that takes cosmic super-heroes to a new frontier. Experience the special preview issue of The Hypernaturalsthis May and pick up the #1 issue this July! The Valiant Universe returns! X-O Manowar! Bloodshot! Harbinger! Some of the best-selling heroes of all time are back in a groundbreaking new beginning helmed by an all-star roster of comic book superstars and visionaries. Journey through the heart of the Valiant Universe with brand new stories, character redesigns, and an exclusive first look into Valiant's bold first year. 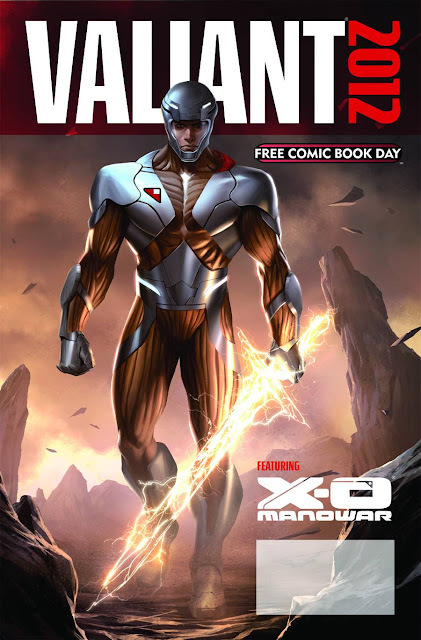 This free preview - featuring content you won't find anywhere else - hits the stands just as Valiant's best-selling titles return to stores worldwide. 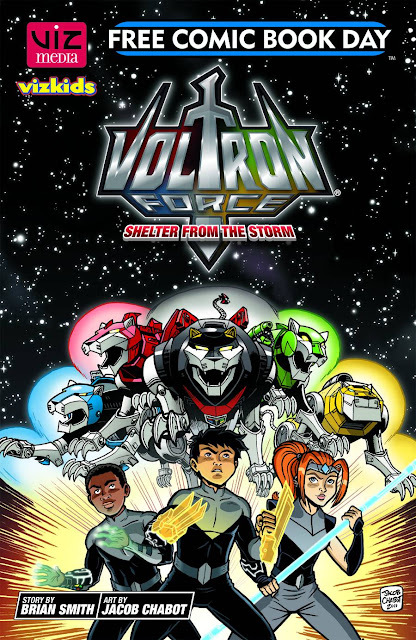 After a mysterious disappearance, the mighty Voltron is back! Now the original Voltron pilots - Pidge, Hunk, Lance, Allura and Commander Keith - are training three new cadets: Daniel, Larmina and Vince. Each cadet brings something special to the team, and as they train, the depths of their gifts are revealed. And with King Lotor and his villainous minion Maahox out to destroy Voltron once and for all, the day that these new cadets must step up may be sooner than expected! Three amazingly adventurous, thrillingly stupendous, wonderfully wonderous comics by one of the greatest cartoonists of all time! Carl Barks! CARL BARKS! The biggest name in cartoons, second to only Walt Disney! 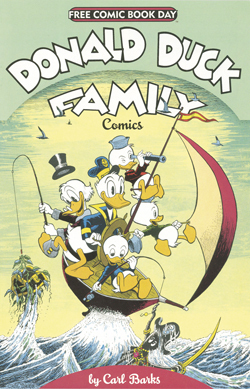 Find out what happens to Donald, Daisy, Uncle Scrooge, Gyro Gearloose, and Huey, Duey in these extremely entertaining and wonderfully told FULL COLOR comics! 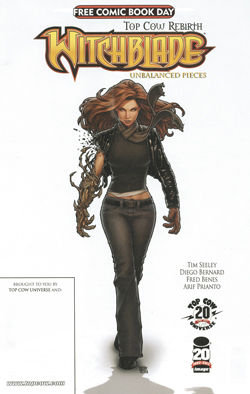 With a brand new creative team and a fresh new direction, now is the time for new and lapsed readers to try out Witchblade! Since the events of Artifacts, Sara Pezzini's entire life has been altered in immeasurable ways. Not the least of which is she's living in a new city and has a new career, but one thing remains constant - the Witchblade. A mysterious, ancient Artifact which often takes the form of a powerful gauntlet and serves a magnet for all things supernatural. 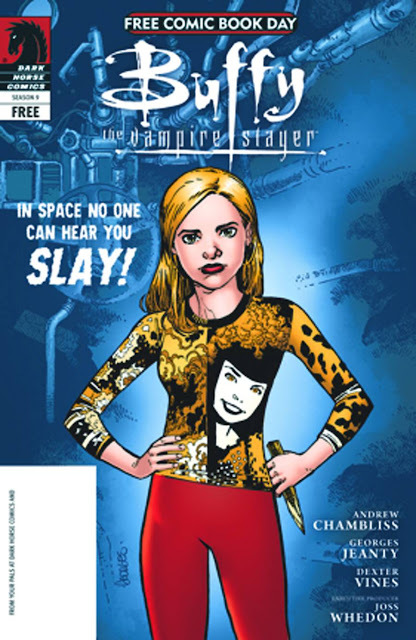 In this Free Comic Book Day edition, fans will get a look at the first complete story, "Unbalanced Pieces," by the new creative team Tim Seeley (Hack/Slash, Bloodstryke) and Diego Bernard (The Man With No Name). This issue serves as a perfect introduction so readers can either pick up the new trade collection or dive intoWitchblade #156! Aspen's Newest Hit Series Debuts Right Here!! 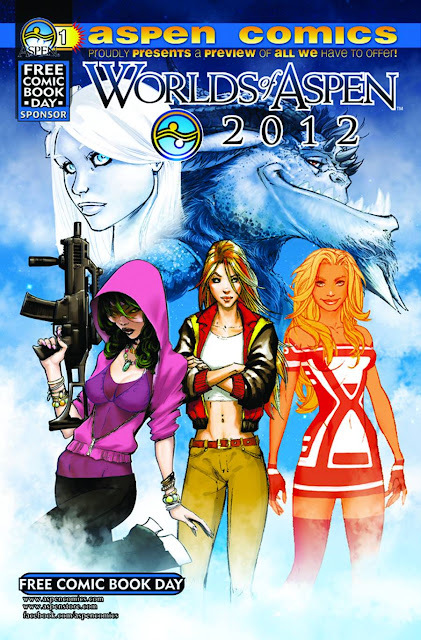 A special compilation issue showcasing several brand new Aspen properties for 2012, featuring an all new original 8 page story by Scott Lobdell and Oliver Nome, debuting the brand new series HOMECOMING, along with previews and story outtakes from several of Aspen¹s hottest and newest titles - including David Schwartz's Idolized, the return ofFathom: Kiani, the deadly new series Executive Assistant: Assassins and long time favorites, Fathom, Soulfire,Shrugged, and Lady Mechanika! Plus, don't miss out on your first look at this summer's big Soulfire event, The Search For The Light, and a whole lot more! Hope this helps narrow down your selection. I'm sure it probably has the opposite effect though... And, once again, don't forget to stop by your local comic shop this Saturday!